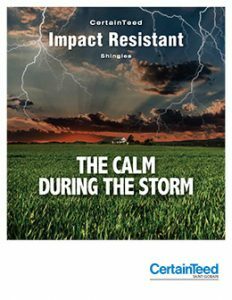 Designed with your protection in mind, CertainTeed is a leading industry expert when it comes to the innovation and sustainability of roofing products. Hand crafted and engineered with industry trends and years of experience, Emerson Enterprises is the place to go when you want to outfit your home with the impressive line of CertainTeed products specially made to create and protect the home of your dreams. Designed to work together cohesively, CertainTeed’s roofing products are the industry standard when it comes to both function and style. With countless options that can be mixed and matched to create the perfect fit for your home, CertainTeed allows you the freedom you want, with the overall protection you need. 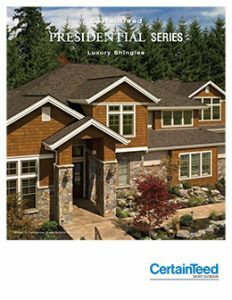 Offering both residential and commercial roofing products, CertainTeed has perfected the art of shingles. 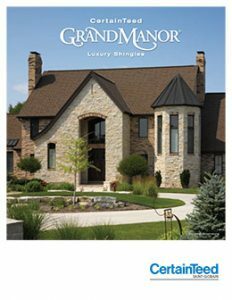 Choose from impressive product lines such as the Patriot Shingles, or Landmark Shingles, and your home will be set up for success through all the extremes of Kansas City weather. CertainTeed also offers ventilation system components such as the CertainTeed Ridgevent, which helps to keep your home’s air balanced. When you balance your air with a ventilation system, you are helping to lower your heating and cooling costs, while also helping to prolong the lifespan of your shingles and entire roof. Not only does CertainTeed offer roofing products that are leaders in the design industry, but they also offer products that are sustainable and environmentally friendly. When you choose to use CertainTeed roofing materials, you will be directly assisting in the promotion of 360 sustainability, and responsible building. This act of environmentally safe and cautious building helps you to get the best possible raw materials, while also helping the world become a better place. For more information on CertainTeed building products and to find the right materials for your project, visit Emerson Enterprises today.